MECoral Calcium (Ca) powder is premeasured to make a 7 gallon liquid solution when mixed with your RODI water. MECoral uses only Pharmaceutical grade ingredients to achieve the highest quality, highest purity, and highest concentration possible. It is ammonia, phosphate, and nitrate free. This makes our powder dissolve quickly and crystal clear with no residual impurities. 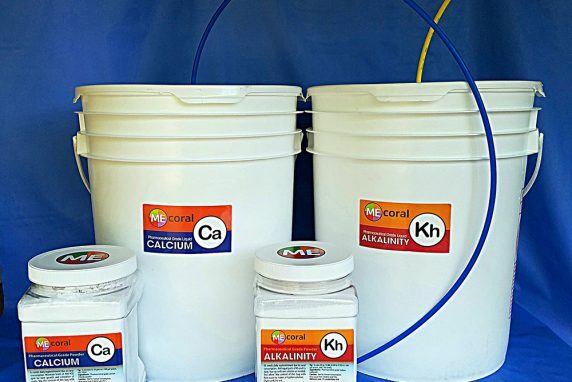 Calcium (Ca) along with Alkalinity (Kh) get consumed by corals daily. This consumption needs to be replaced to avoid corals losing color and growth. Target range for Ca is 400-450 ppm. Test often with a good test kit. 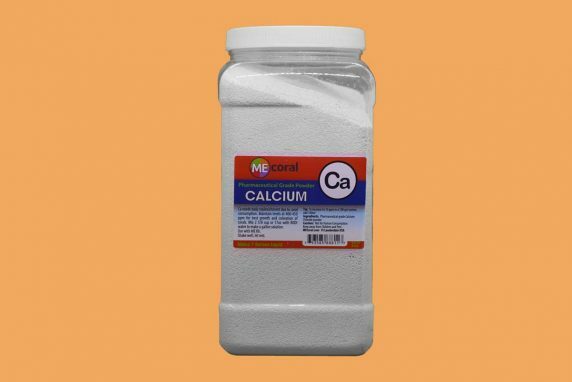 Liquid calcium is typically added with a dosing pump as part of a 2-part dosing system; although manual additions are effective. 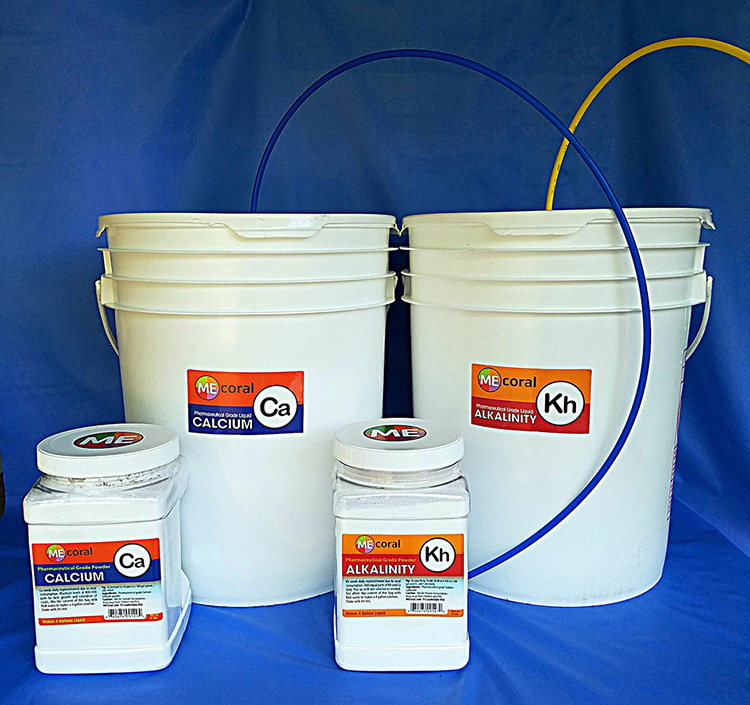 Once target levels are attained individually, Ca and Kh (alkalinity) need to be added in equal parts for daily maintenance. 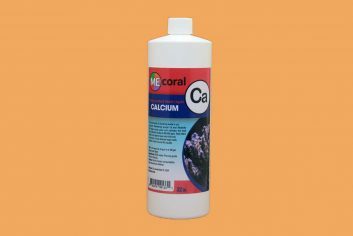 MECoral Calcium is designed to be used in conjunction with MECoral Alkalinity for best results. 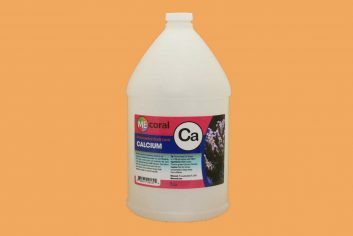 Quick guide: In order to increase Ca 10 ppm (400-410) in 100 gallons of aquarium water, add 100 ml or 3.4 fl oz of liquid solution. 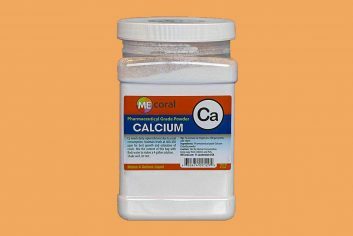 Mixing instructions: MECoral Calcium powder package is pre-measured to make a 7 gallon liquid solution. Fill a bucket, jug with aprox. five qallons of RODI water, then add the entire content of the Ca package. Shake aggressively! Add more RODI water to make a 7 gallon liquid solution. Let rest with lid open. Do not pour powder into jug before the water as this may cause clumping. If clumping occurs, run hot water over jug in sink, as heat will help it dissolve easier. Liquid solution gets slightly warm, but will be crystal clear with no residue by the time it gets to room temperature. If mixing 1 gallon at a time—–use 1lb or 16 oz, or aprox 2 1/2 cup. Caution: Not for Human Consumption, Keep away from Children and Pets. If swallowed, do not induce vomiting. Drink water and call your doctor.